Hitachi Insight Group today unveiled new video analytics software to enhance and extend its Smart City and Public Safety solutions portfolio. 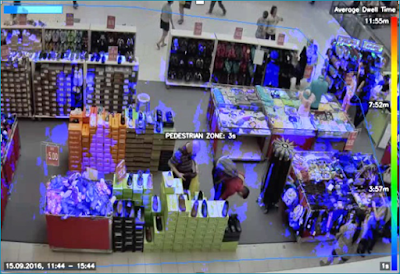 Hitachi Video Analytics (HVA) combines computer vision and advanced analytics to extract rich insights and generate real-time alerts that can provide cities, airports, campuses, and transportation agencies. Functionalities include Operational and business intelligence: people counting, queue detection, activity analysis, directional counting, and image enhancement to deliver insights that help cities, businesses and other organizations improve operations and customer experiences in terms of operational and business intelligence. It also helps to protect individual privacy, which can help to reduce their risk and liability. Smarter transportation, traffic and parking management capabilities include vehicle counting, traffic analysis, parking space detection and license plate recognition to help cities and businesses improve traffic and parking for residents, commuters and customers. For example, airports can use HVA to help enhance safety for travellers and also to detect long queues and optimize staffing at security checkpoints or enhance passport control processes in customs. As a result, passengers can get through more efficiently and spend time shopping, dining or enjoying attractions in their terminals. Retailers can also take advantage of HVA to gain the same level of actionable insight from their brick and mortar properties as they do from their websites. Insight that can help them understand where visitors are coming from, how they spend their time in their stores and what promotions or product placement help to increase sales. And cities can use HVA to improve safety, operational efficiencies and transparency, while providing better public services through metrics—such as foot traffic combined with traffic analysis in downtown areas—that can help local businesses make smarter decisions about how they position their shops and do business. More effective public safety and security is achieved with intrusion detection, left-behind object detection, facial recognition and camera tampering alerts: which provide a force multiplier for public safety departments to help keep people and property safe. For more information about Hitachi Video Analytics and Hitachi Video Management Platform, visit https://www.hitachiinsightgroup.com/en-us/smart-cities.html#video-security-and-analytics.